The weather has been glorious recently and it’s not surprise to see everyone out and about in their gardens getting them looking their very best. We’re no different here in Westport House & Estate, if on a slightly larger scale! Realistically as everyone knows though, tending to a garden is a year round affair and we’re very happy right now that we’re starting to see all the hard work of the last few months start to pay off around the House itself, particularly in the magnificent Italianate terrace garden on the west side of the building. Built originally in 1914/15 the terraces face out onto a Greek sarcophagus that was “liberated” from its home land by Howe Peter Browne, 2nd Marquis of Sligo – but that’s a story for another day! Our restoration work has been on-going, starting with an overhaul of the overgrown terraces themselves at the beginning of the year. With our crack squad of gardeners only fully in place since February and the horrid conditions we had at the beginning of 2018, we really have to tip the hat to them for the amazing effort they put in to get the gardens to where they are at them moment. The process began with the digging of a one metre deep trench which was filled with top soil, and as was clear from this year, a huge problem can be flooding, so we ensured a sturdy drainage system has been put in place for future rainy winter days. The most eye catching addition to the flower beds at the moment are three Taxus Baccata which have been planted in each bed, reaching a height of three and a half metres each. They are significant for a number of reasons. Firstly, they are a yew tree which obviously has strong connections with Mayo – as in The Plain of the Yew Tree! Secondly, they match the yews that align the Rose Terrace on the southern side of the house itself, and thirdly, planting three on each side ensures a balance with the main house itself as the geometry of Westport House is all in threes – see can you spot that when you’re visiting next! 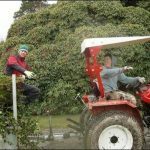 Outside that then, are the smaller, mainly herbaceous plants which will be a treat for locals as well as overseas visitors as these types of plants are not that common to the West of Ireland. There have been over a thousand planted and when they reach maturity the spectacle will be something to behold – Instagram gold right there. For the team, the goal is to achieve vibrancy in the planting with a contemporary twist. It’s about incorporating the already stunning surrounds of the House and gardens using the mature structural planting of the yews and the vitality of the herbaceous plants… and while it already looks great, we can’t wait until you get to see it all in its full glory. 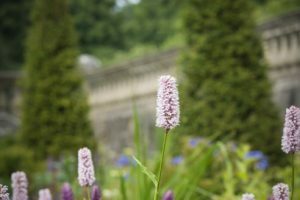 Along the borders we have grass paths which have been newly re-laid and help to define the original paths which dissected the flower beds and the sharp geometrical definitions are a classical Italianate Garden standard. Over the next number of weeks the team will continue the upkeep of the newly planted flowers while also – and we’re really looking forward to this – work will also begin to restore the pond in the centre of the terraces to former glories. The pond and sarcophagus are the two standout features of the garden itself, and when completed they whole area will offer some of the most stunning views on the entire estate – which is saying something! You’ll also notice shortly that the gravel pathways around the house will shine a little bit brighter. That’s because we are going to finish the pathways with wonderful sandstone gravel from the Arigna mines, over the border in Roscommon. The sandstone is stereotypical of the type of gravel that was used in stately homes in the eighteenth and nineteenth century and will brighten up the estate, even when the sun isn’t shining as it has been for the last few weeks! Entry to the gardens is FREE to the public – open daily from 8am – check out our Opening Times page for gate and grounds’ opening times. 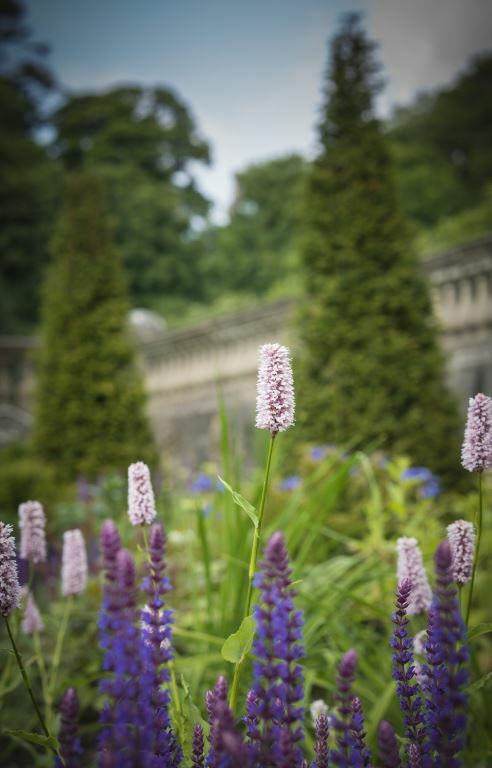 We have a brand-NEW daily Gardens Tours start on June 1st at 2pm. Join at the front steps of the house. Adults €8, children €2. Drop in or pre-book at group. Running every day through to the end of August. Learn all about the historic landscape of the estate and why it is so “naturally” beautiful (don’t tell anyone…..but….it was all planned!). Oisin is a qualified landscape architect with a masters in construction project management. He placed in Bloom twice and starred in RTE’s Super Garden. For fun, he enjoys surfing, running, biking and all everything outdoorsey. Did you know that Oisin worked his way through college – for five summers – in Westport House?